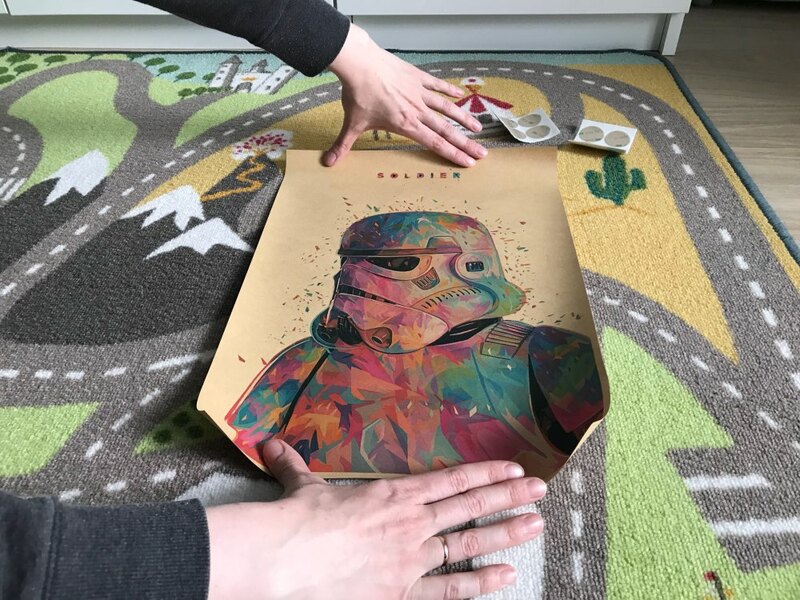 Made of 150g retro kraft paper, these 5 vintage Star Wars movie posters, from Darth Vader, Stormtrooper, Yoda, C-3PO, Luke Skywalker and Bobo Fett are perfect for your house, office, or for bars, restaurants, cafes or any themed events. Note: Please be reminded that due to lights and your monitor’s brightness/contrast settings etc, the colour tone of this website’s photos and the actual items could be slightly different. The actual vintage Star Wars movie posters will display slightly yellowish tinges for added vintage feel. Note: Posters do not have any film covering, and are not waterproof so please do not make them wet. good posters, paper dense, помялось no. блеклые color more, than the photos. 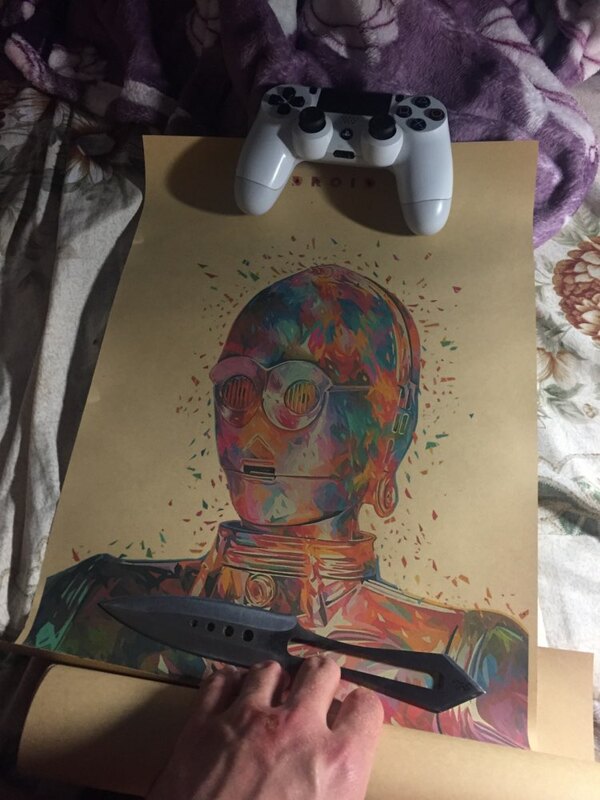 excellent art, отправленный very fast, relatively too fast shipping. thick paper, normal printing. interior really super baby! thank you! posters cool! quality super. Bought 3 pieces immediately .. very nice recommended! 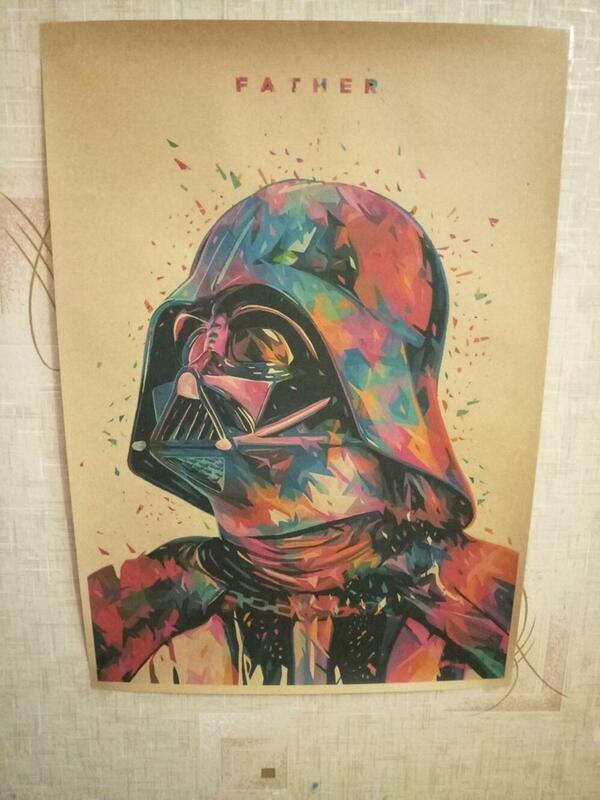 This is the COOLEST poster I have ever seen of star wars. Arrived super fast! 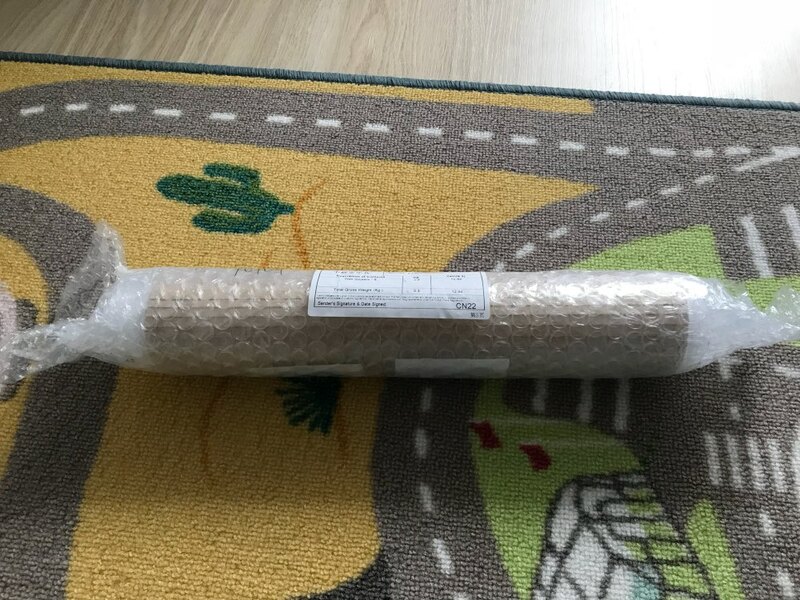 Carefully wrapped for safe shipping! Great item! Nice colours, just as shown. thank u.